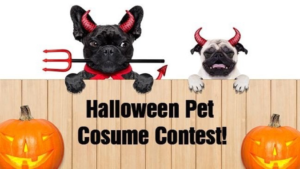 Email a photo of your dog or cat dressed up in their best Halloween Costume for us to post to our Facebook page at Lanae Barnes Palm Beach Real Estate. The winner will receive a pet gift basket valued over $100 and your pet will be featured on our Facebook page and may be featured in future marketing promotions by Lanae Barnes and Echo Fine Properties/Illustrated Properties. How do I enter my pet? Step 2 Include your name, phone number and your pet’s name, and the community where you own a home. Restricted to Palm Beach County homeowners. Step 3 Get family members, friends to vote (like) for your pet on our Facebook page. The last day to enter is October 20, 2017. Send pictures of your pet to: Lanae@EchoFineProperties.com. Posted in Singer Island, Singer Island Condos, Singer Island condos for sale on September 29, 2017 at 11:46 am.